London has spoken, and the results are in for Time Out’s second annual Love London Awards. Since the awards launched in September, nearly 16,000 nominations have been cast for almost 5,000 amazing venues across the capital. 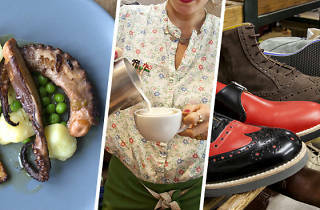 Followed by close to 75,000 votes, revealing the most-loved spots in each category – cafés, restaurants, shops, local culture and pubs – in every area of London. Here we reveal the five fantastic places that received the most votes overall. Then read on for the top venues in your neighbourhood. Congratulations to all the winners, and thanks for making London so damn lovable! London's most-loved restaurant is... CAY TRE! Given the sheer number of dining options in London, it’s testament to this Dean Street Vietnamese’s charm and authenticity that it’s topped the list of London’s most-loved restaurants. Few places of its ilk go to such lengths when it comes to getting cuisine spot on – the signature beef pho is cooked for 18 hours, while provenance is a priority across the menu. Or perhaps versatility is what makes Cay Tre stand out? While it’s a great place to bring a group of friends and graze on noodles, curries, salads and grills, it’s also the ideal spot to cosy up on a street-facing stool with a steaming bowl of pho and spend your lunch hour watching Soho do its thing. It might not be the most ostentatious of eateries, but everything it does it does supremely well, and Londoners clearly can’t get enough of it. London's most-loved café is... LOVE & SCANDAL! A new-wave coffee shop that also does a full English? We can’t quite work out why nobody thought of this sooner. Sticking the place on Lower Marsh, behind Waterloo station is a similarly inspired move, meaning hungover Zone 1 folk no longer need resort to train-station chains for revitalising fixes of pork and caffeine. Beans come from Wimbledon’s revered Alchemy roastery, and food changes week-to-week, but always seems to involve some sort of chocolate cake. Over-fussy cafés of London, take note: get the simple things right and Londoners will love you for ever. 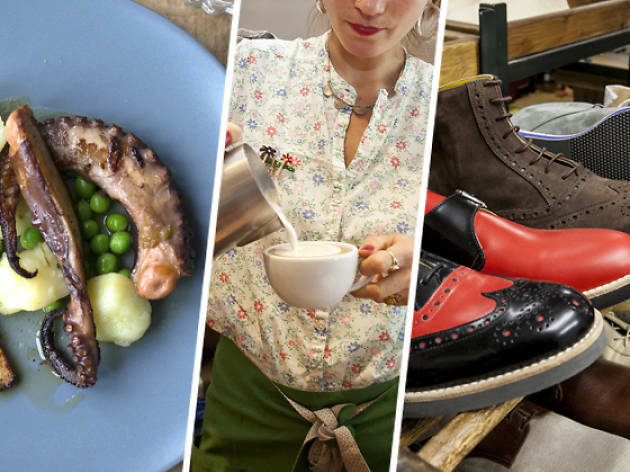 London's most-loved shop is... BOW WOW! Londoners love their hounds, and if they’re dressed up as a squirrel or a sailor or James Bond, even better. But, as anyone who’s ever tried to wriggle a dachshund into a pair of dungarees will appreciate, doggy fancy dress is a niche enterprise – hence it’s not all about daft costumes at this West End pet shop. It also stocks a slobber-inducing array of toys, grooming products and accessories, all designed to ensure your pooch is the talk of the park. It’s only a dinky little place – more pug than great dane – but this just helps to ensure that service is always the mutt’s nuts. London's most-loved pub is... The Kenton! Anyone declaring that Hackney has lost its soul obviously hasn’t had a pint at the Kenton. Located a safe distance from the borough’s trendier strips, this is a pub that’s managed to resist the novelty bandwagons and retain its identity. That’s not to say that the Kenton is stuck in the past – craft beers are present behind the bar, food comes from street-food sandwich maestros Sub Cult and DJs drop in to drop beats come the weekend. It’s this curatorial approach to trends that’s surely to thank for the Kenton’s enduring appeal, and the reason it’s now officially Londoners’ favourite pub. London's most-loved cultural venue is... ArtHouse Crouch End! Around a quarter of all your favourites within the ‘local culture’ category of this year’s awards are cinemas, suggesting London hasn’t succumbed to the lazy lure of on-demand streaming just yet. But how did the ArtHouse cinema beat the rest? Perhaps it’s because – with its cosy café and excellent bar – it’s so much more than a brilliantly programmed two-screen cinema. Of course, if you do just fancy an afternoon of esoteric cinema in a darkened room, it has you covered – try this week’s Gaywise Festival events, or head down next month for screenings of the Barbican’s Benedict Cumberbatch-starring production of ‘Hamlet’, or Sleaford Mods documentary ‘Invisible Britain’. You don’t get all that on Netflix. And now, the full list of winners. Congratulations to everyone!